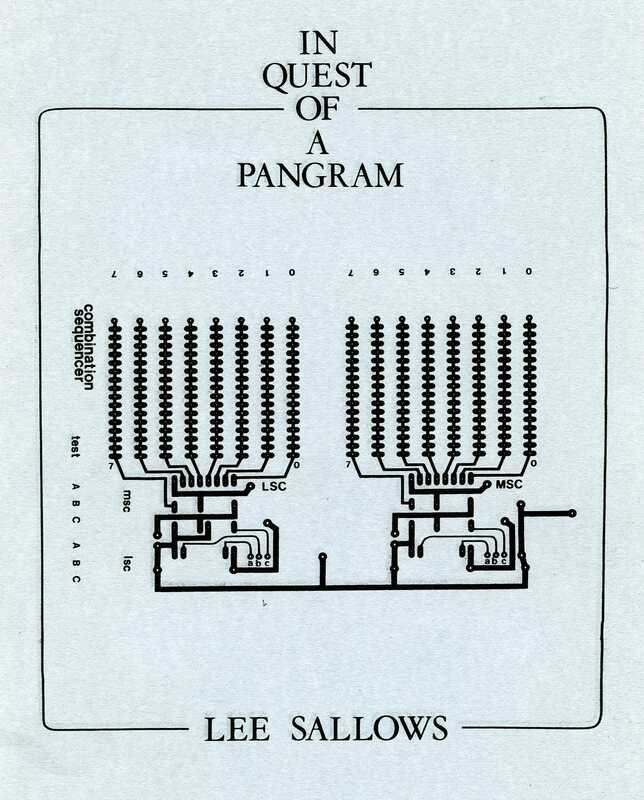 In Quest of a Pangram, my first ever published essay, made its debut in Abacus, a now defunct, computer-oriented quarterly published by Springer-Verlag, in 1985. A pdf of the published version is here, or perhaps a more readable version here. It is a colourful account of a personal adventure centered around solving an unusually difficult word puzzle. Prior to this I’d prepared a version in A5 booklet form enclosed within grey card covers. Several such specimens were sent around to people whom I hoped to impress. I took some trouble over this booklet, embellishing the front and back covers with printed circuit card designs taken from the Pangram Machine, and sprinkling the opening pages with bookish additions: a dedication, a couple of quotes, and a cryptic self-referential emblem. Among the recipients was Martin Gardner, the ‘dean’ of recreational mathematics, whose regular columns in Scientific American were at that time to me as food and drink. Previously I had corresponded with Gardner on magic squares, so we were already acquainted. Picture my surprise and delight therefore, when shortly afterwards I received an unexpected letter from one Anthony Ralston in the US, explaining that Martin Gardner had passed on to him my pangram booklet. He, Ralston, editor of Abacus, a recently launched journal devoted to computing topics, would very much like to use my essay. The honorarium would be around five hundred dollars. Would I consider? After careful deliberation I felt persuaded to acquiesce. Publication was still some months off when Kee Dewdney, another recipient of the booklet, expressed interest in writing about the pangram project in his ‘Computer Recreations’, a successor to Gardner’s column in Scientific American. 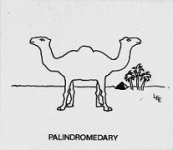 Dewdney’s piece appeared in October 1984 and immediately spawned widespread pangramania. Letters from enthusiasts around the world poured in, among them as many as four successful responses to my audacious challenge inviting readers to produce a computer-generated pangram. First among these was John Letaw, an article by whom was destined to accompany my own in Abacus. Amusingly, later Dewdney wrote to congratulate me on “the grace with which you recovered from this blow,” whereas the truth is that I was merely tickled by the extra publicity entailed. A year later, In Quest of a Pangram was translated into Dutch and appeared in Intermediair [6-7 Feb.1986, p.7], a highbrow weekly aimed at academics in The Netherlands. This was not the sort of material normally granted space, but for some reason an exception was made, the involvment in the pangram story of Rudy Kousbroek, a widely respected writer in Holland, perhaps encouraging a more sympathetic view. In any case, their gamble paid off, the essay by all accounts having been widely enjoyed. Still later I was approached by the editor of Elektor Electronics, following which the essay appeared for a third and final time as a two-part article in that journal [July/August 1990 Vol 16, No 180, p 56 and No 181, p54]. In closing, perhaps it's worth mentioning that the Pangram Machine described in the essay was built in 1983, a time that predated the arrival of the personal computer. For example, it would still be a few years before a new magazine with the outlandish title ‘Byte’, would carry advertisements in which one man says to another, “You just bought a personal WHAT?? ?” Computer, that is. I mention this since the pace of technological advance has been so swift that the constraints under which we worked in those not-so-far-off times are easily forgotton. A Wikipedia article on autograms is also available. Anu Garg's Pangram Finder is certainly worth a try.